I had the good fortune to be included in a gorgeous treasury curated by editionbw. 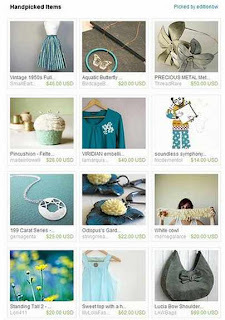 On Friday afternoon, it made it to the etsy front page. Yah! Those are my Octopus's Garden in the Shade earrings in the centre of the third row. What a treat to be featured alongside this group of talented sellers.